ENJOY THE EAGLES ON ARROWHEAD LAKE! 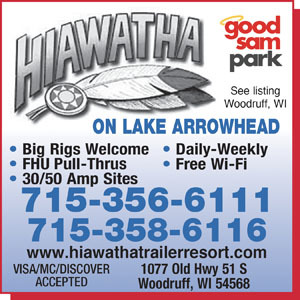 Fishing, boating & swimming on Arrowhead Lake makes for an enjoyable stay at our lovely resort! Also close to great bicycle & walking trails, shopping, golf & excellent dining. Come spend your vacation with us! Web site says nightly campfires - never saw a single one in the multiple weeks we were there! Web site says that all sites have concrete pads - not if you are in a non seasonal site! You'll be walking thru dirt and sand and constantly tracking it into your RV. WiFi is terrible! We could throw a rock and hit the office building but could not get a decent signal or any signal at any time. As others have stated, non seasonal sites are VERY narrow. You are lucky if you can put your awning out without hitting the unit next to you. Also, you will likely be stepping over the sewer hose of the unit next to you as you exit and enter your rig. After we arrived, the people on either side of us left and made comments that they would not come back because the sites were too small and we agree. The bathrooms and laundry room were very clean and we appreciated having a clothesline to hang out our clothes to dry. Do Not understand the Good Sam overly inflated ratings so we are not sure how we can trust future Good Sam ratings. 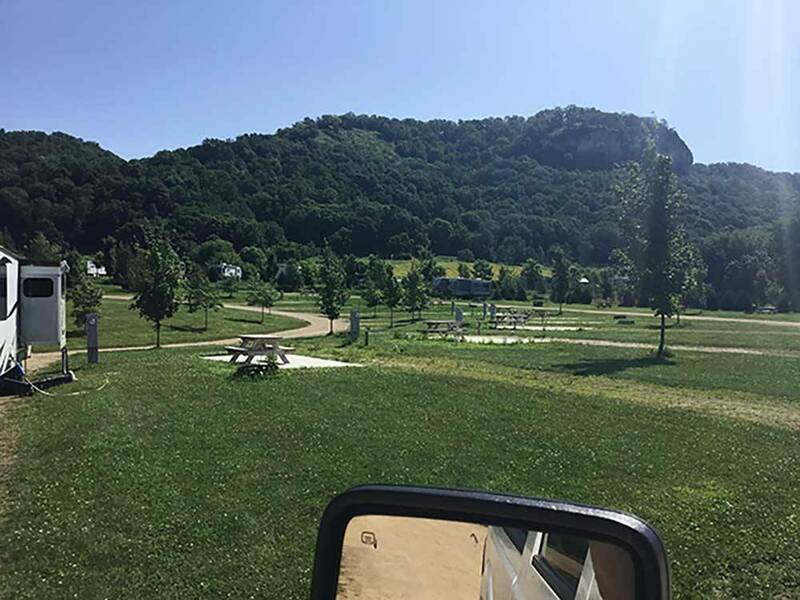 This campground leans toward seasonal camping. The pull through sites for non seasonal camping are very long but also very narrow. Ours was so narrow we couldn't put our table beside our camper and our neighbors sewer hookup was just steps from our door. The bathrooms, laundry, and playground were very nice.